This group is a Sunni Islamist militant organization linked with Al-Qaeda and its global jihad movement. It was founded by Saleh Al-Qaraawi in 2009, bearing the name of the late Sheikh Abdullah Azzam, a noted Palestinian minister who volunteered to join the battle against Soviet forces in Afghanistan in the 1980s. Since its founding the Abdullah Azzam Brigades has expanded with local networks in Egypt, Iraq, Syria, Jordan, Lebanon and the Gaza Strip. This is an especially violent group of extremist Islamic terrorists. Their primary goal, especially in the Gaza Strip, has been the eradication of the Jews. But like most of the other Islamic Jihadists, the organization seeks to establish its own brand of the Islamic faith throughout the Middle East and implement Sharia Law. Its members are extreme radicals who have been conducting suicide bombings where ever the organization exist. One difficulty identifying this Islamic cult has been a strange willingness among the members to operate under different names for each sect. In Lebanon they call themselves the Ziad al Jarrah Battalion. The branch operating on the Arabian Peninsula is known as the Yusuf al-Uyayri Battalions. In Gaza they are the Marwan Haddad division of the Abdullah Azzam Brigades in the Levant. To further confuse the picture, these groups sometimes operate under various other aliases. Most are names of fallen heroes, or men who have died in jihad. These terrorist groups have bombed hotels, police stations and other public places, killing hundreds of innocent civilians. They even have used rockets in their attacks. The group has been fighting against Syrian government forces. In November 2013 the Brigade claimed responsibility for the double suicide bombing at the Iranian embassy in Beirut. Those blasts killed an estimated 22 people and wounded over 140. They said the bombings were retaliation for the Iranian support of Hezbollah, which is fighting for the Syrian government. The full picture of the operating terrorist units existing throughout the Middle East is difficult to grasp since the terrorists appear to be at war with each other. And it all boils down to slight differences in religious doctrine. 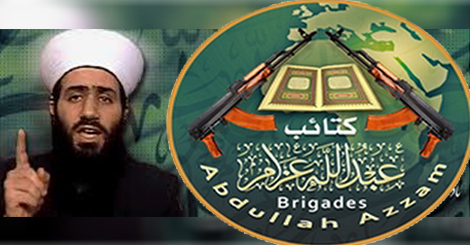 What is clear, the radical fighters for The Abdullah Azzam Brigades and any of its sub-units, are extremely dangerous killers.